Regulation is constantly evolving and, perhaps now more than ever, there are increasing demands on those in the general insurance to meet regulatory requirements while at the same time operating a profitable business. 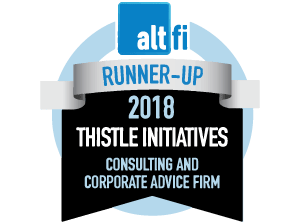 The general insurance division of Thistle consists of a team of highly experienced staff offering specialist compliance support and guidance tailored to suit your individual business’s requirements. We provide relevant and practical advice to clients large and small. That’s why firms across our sector use us to help them meet their compliance obligations. General insurance brokers – we support traditional brokers whether personal lines, commercial or Lloyd’s of London market brokers. Our clients also include e-commerce, call centres and price comparison websites as well as some of the largest distributors of insurance anywhere in the UK. Intermediaries – we have a wealth of experience in the motor trade and other non-traditional intermediaries and third parties including emerging areas such as Apps and the development of new products linked to insurance covers. Insurers – as well as providing specialist advice and support to insurers and capacity providers we also act as external auditors on binders and delegated authorities for both compliance and claims. We tailor our service to your needs whether that’s ongoing support or a one-off service. While we love to build long-term relationships with many of our clients (and we have some going back for more than a decade) we are happy to provide one-off support with a specific issue such as authorisation, RMAR, financial crime, the sales process, etc. We also undertake section 166 remedial work and provide locum compliance officer services.